Special Offer! valid from 25 Apr,2019 till 11 May,2019. 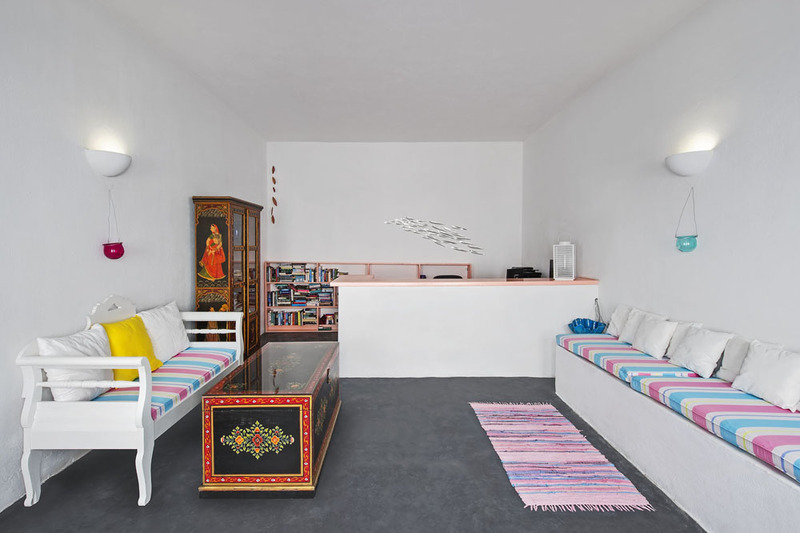 Studio features a seating area with open plan kitchen, and a furnished balcony. 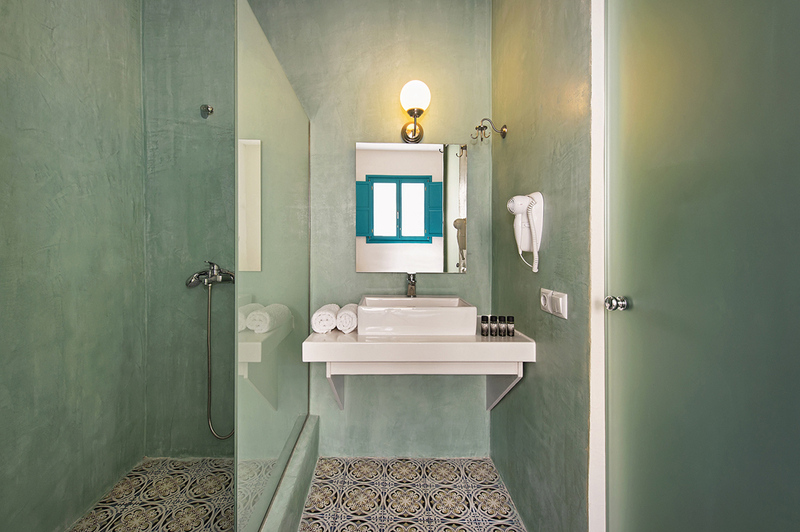 The ensuite bathroom comes with toiletries and shower. Studio's size is 20 sq. meters. Junior suite size is 28 square meters.Open plan area with a queen size bed and one single bed,open plan kitchen facilities,bathroom with shower, private veranda with outdoor hydro massage(not heated) and sea view. The 30 sq. meters apartment features a seating area with open plan kitchen and a furnished balcony. The en suite bathroom comes with toiletries and shower. The 30 sq. 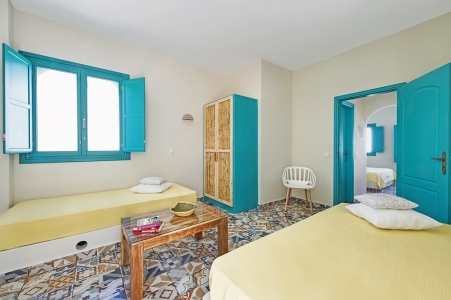 meters apartment features a seating area with open plan kitchen and a furnished balcony. The ensuite bathroom comes with toiletries and shower. The 35 m2 Maisonette features a living room on the ground floor with 2 single beds and an open plan kitchen. 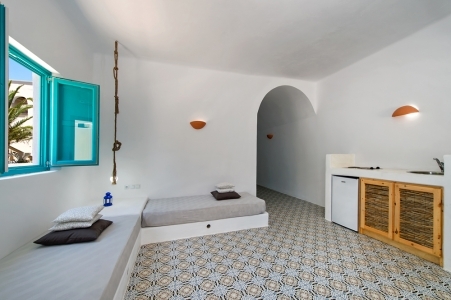 The second bedroom with a double bed is located on the loft. 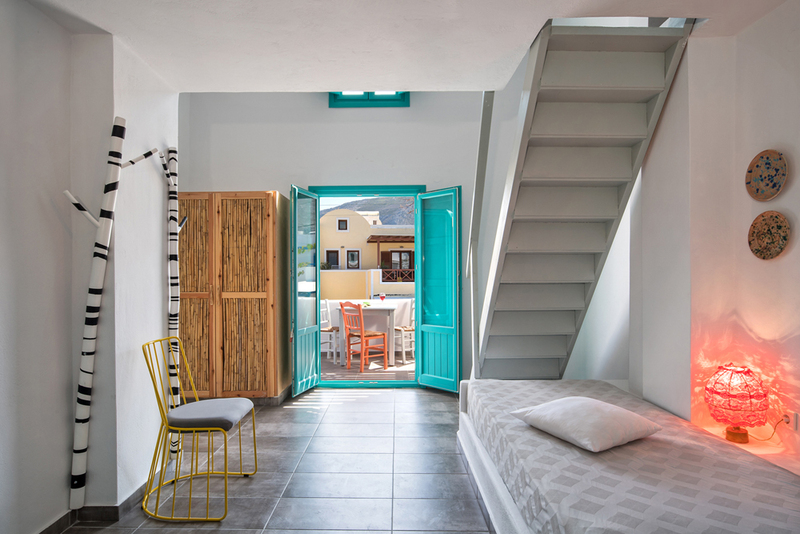 Suite opens up to a private veranda. It features a bedroom with king size bed. The spacious living room comes with a single bed and a large bathroom with shower. 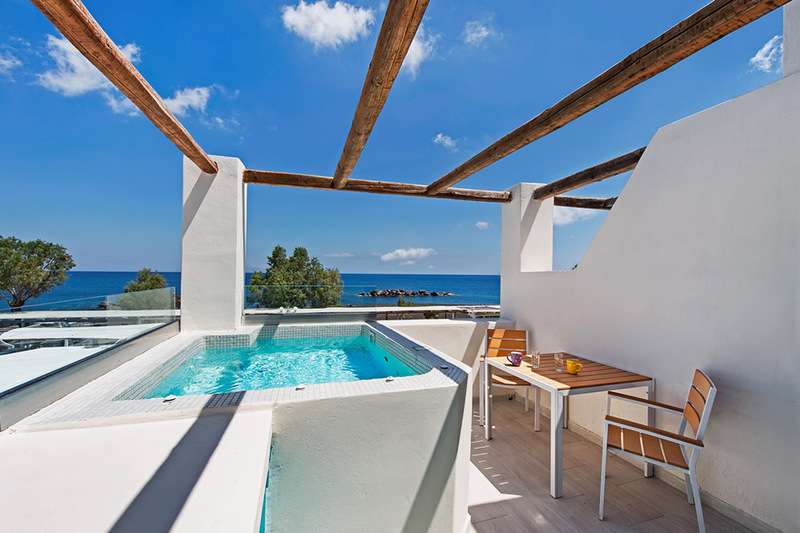 Suite opens up to a private veranda. It features a bedroom with king size bed. The spacious living room comes with 2 single beds and a large bathroom with shower. 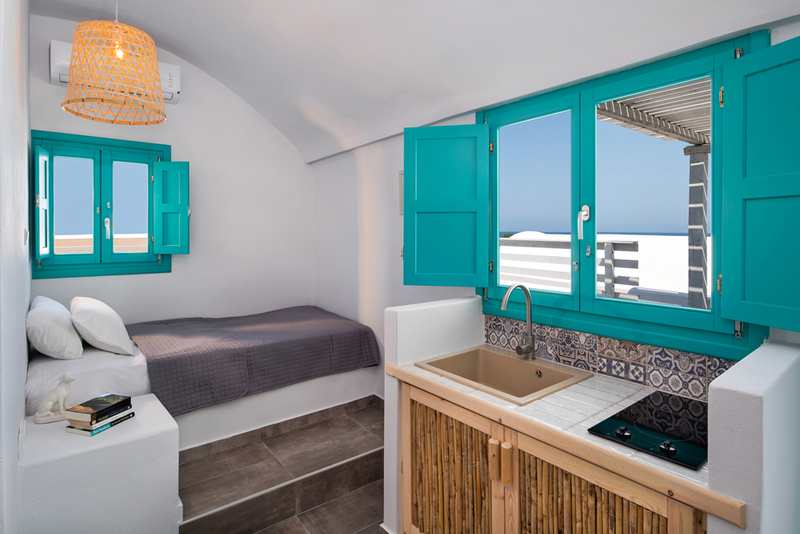 Suite opens up to a private veranda with outdoor hydro massage. It features a bedroom with king size bed and en-suite bathtub for two. The spacious living room comes with 2 single beds and a large bathroom with shower. This 65 sq. 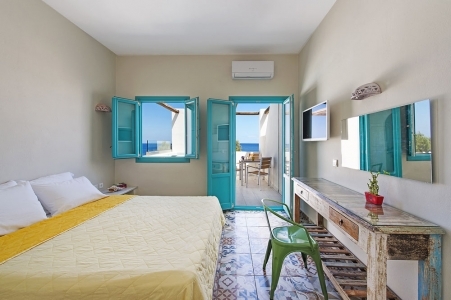 meters maisonette features a queen size bed, a double bed, 2 single beds, 2 bathrooms and a kitchenette. 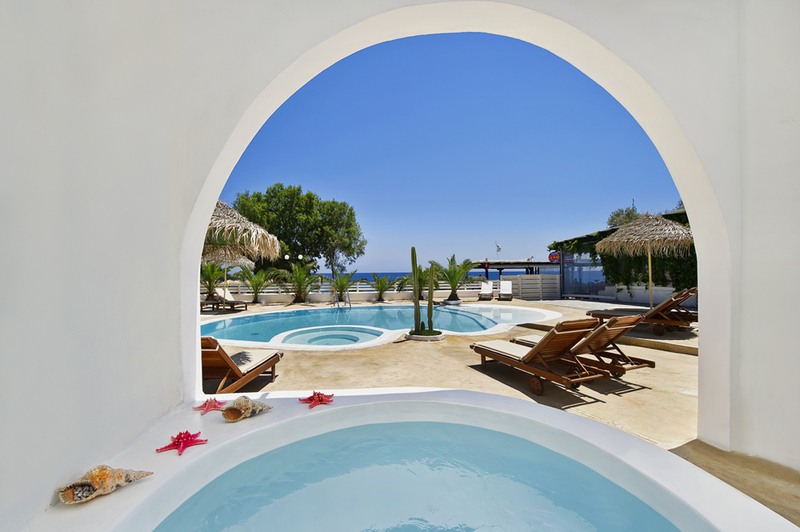 Located on the beachfront of Kamari, Nissia apartments features an organized private beach, a swimming pool, a cafeteria on the beach and a pool bar. All spacious units open up to furnished balconies. 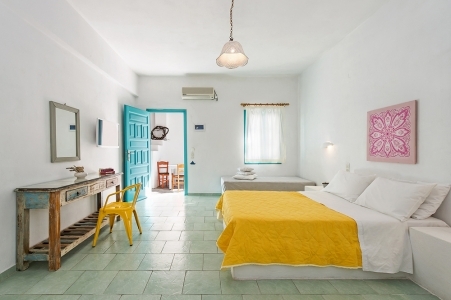 They come with fully equipped kitchenette, air conditioning, satellite TV and in room safe. 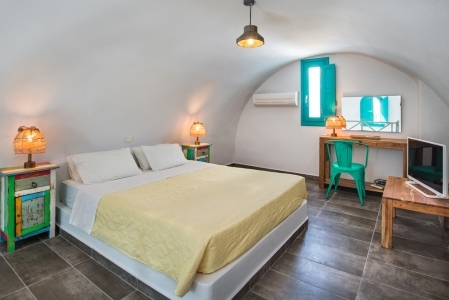 Nissia apartments is the ideal choice for couples, families or group of friends as it offers a big variety of accommodation from studios, apartments, maisonettes up to is unique "Nissia Suite" which can accommodate up to 6 people. 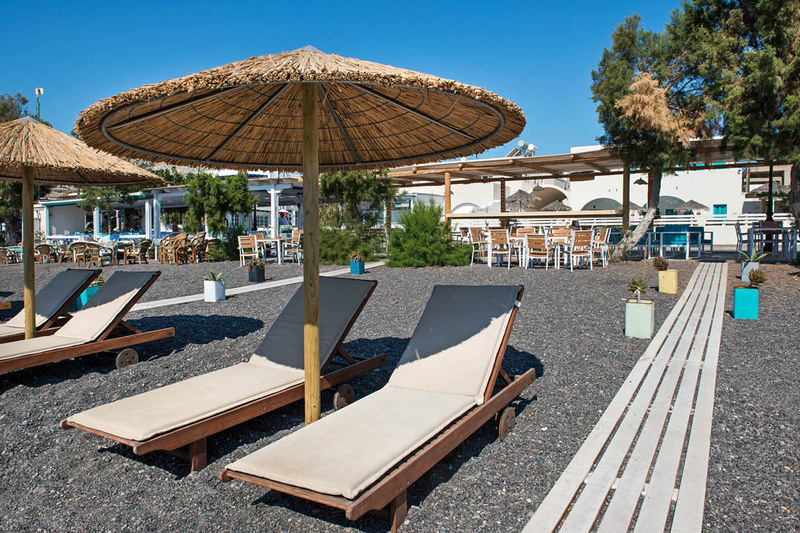 Start your day with a refreshing dip in the pool or beach and relax at the sunbeds and umbrellas with a coffee or drink from the pool bar or beach bar. 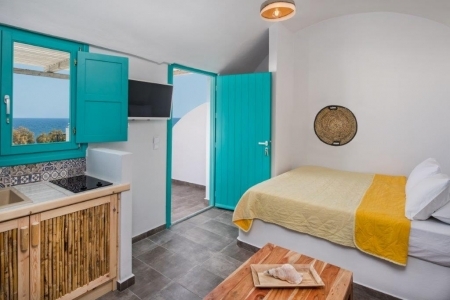 Hotel's friendly owners and staff will give you tips of places to visit during your stay while they can arrange car rental and private or organized tours. 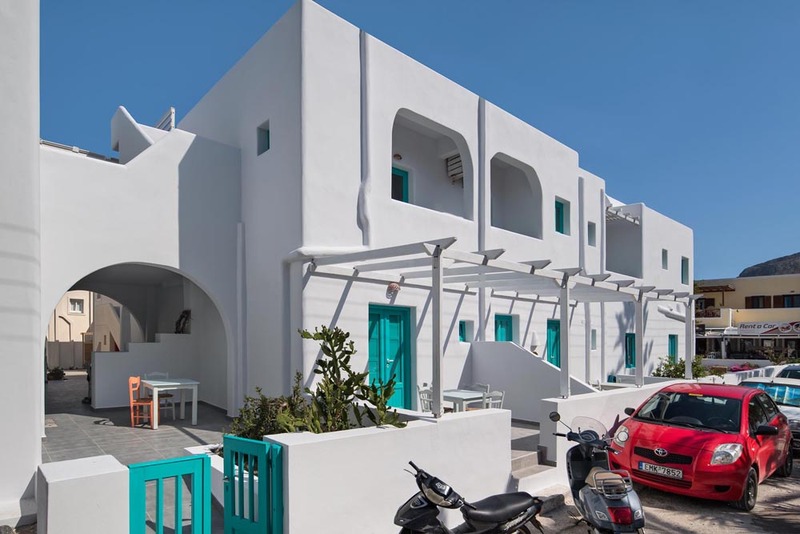 Only a few steps away from the traditional village, and right in front of Kamari's unique black beach, Nissia Apartments is the perfect place for exploring the beauties of Santorini island. If cancelled or modified up to 6 days before date of arrival, no fees will be charged. If cancelled or modified later or in case of non show, 45% of the total price of the reservation will be charged. Cancellations up to 21 days before Arrival result in 100% Refund. 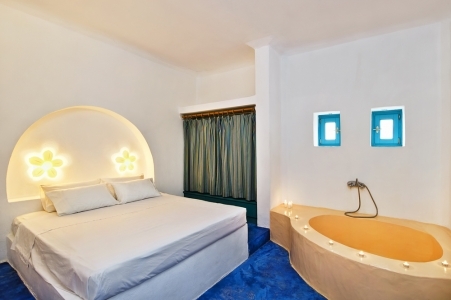 Cancellations 21 days to 7 days before Arrival result in 50% Refund of the total Reservation Cost. Cancellations 7 days to Arrival result in no Refund. 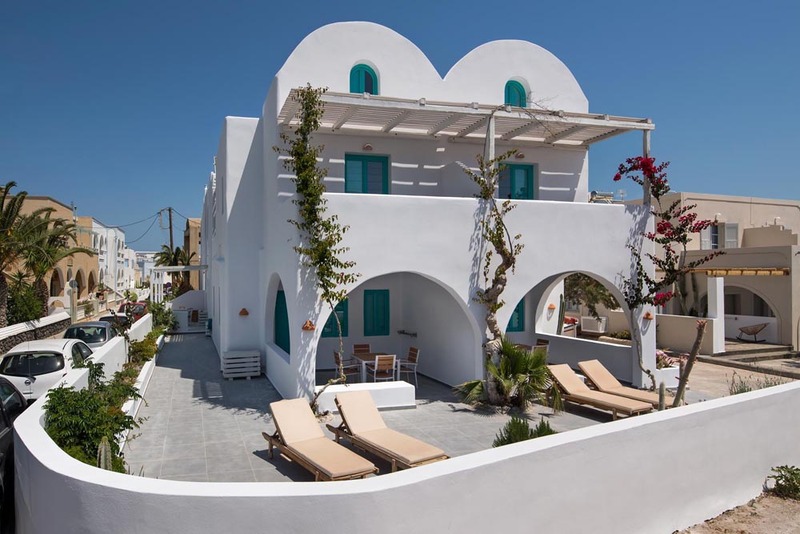 Located on the longest coasts of the island, Nissia Apartments gazes over Santorini’ s magnificent sunrise and deep blue Aegean Sea. 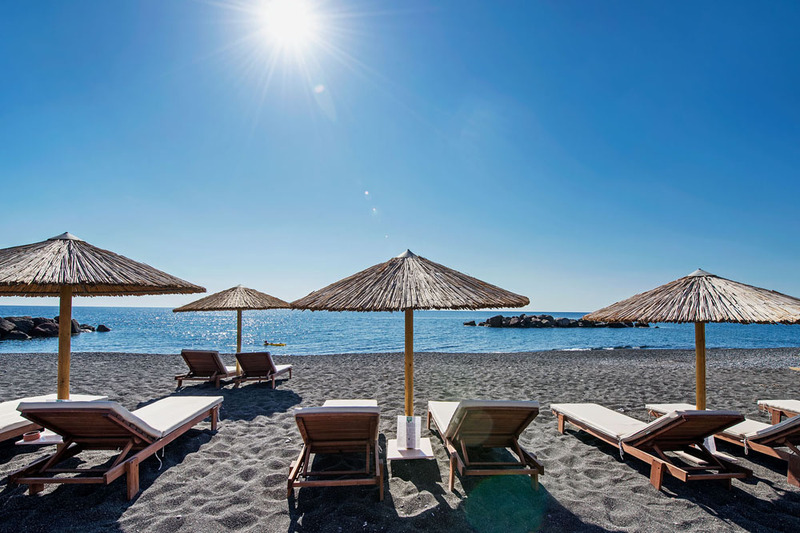 Only a few steps away from the traditional village, and right on the front of Kamari’ s unique black beach, Nissia Apts. offers unlimited opportunities. 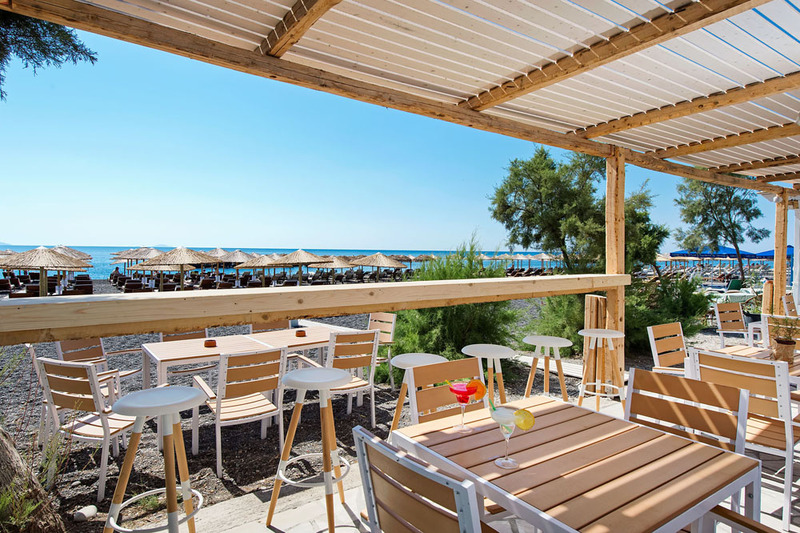 You are guaranteed to enjoy unforgettable moments of relaxation, from sunbathing under the warm Mediterranean sun to enjoying romantic walks toward the dominant mountain of Messa Vouno. Visited last year with a friend and enjoyed so when book looking to return to Kamari decided to return. 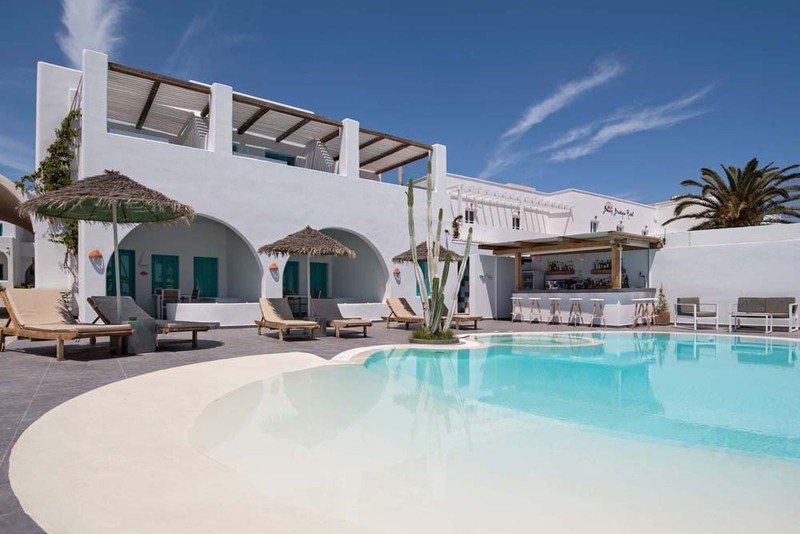 Looked at other options but like the location and the chilled out pool area. Breakfast good though a little repetitive. Resort closing when we were there but Nissia staff still on hand to provide a good service. Nicos did sterling job looking after everyone despite being left on his own. Our little cleaner was also lovely. They catered for family groups with and without children as well as oldies like us. Nice apartments for all. Would happily return again. Have a good rest! 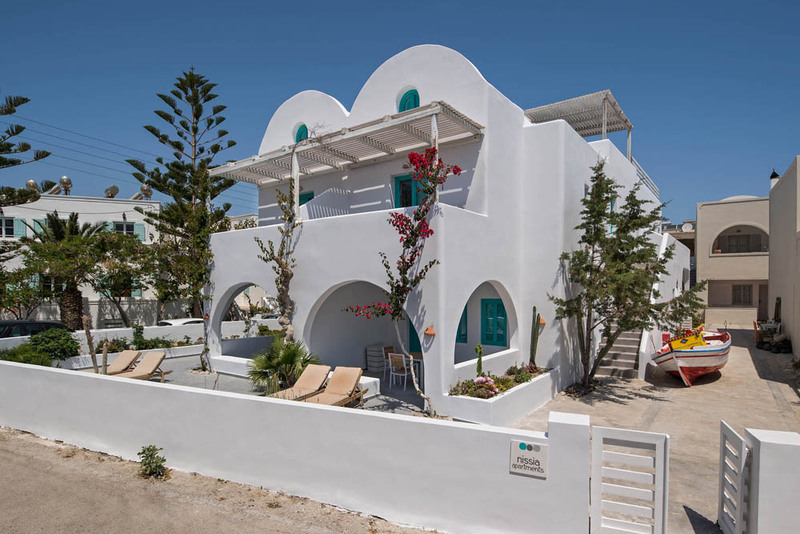 Nissia Apartments is very good,comfortable and new appartments with full facilities even good wi fi. Mr Nikolas very happy,smiling and friendly person, as well as, all personnel, and special the waiter for morning breakfast. Great hotel. I would definitely come back! Molto bello e pulito, soprattutto molto tranquillo. L'unico consiglio che vorrei dare ? di variare un po' sulla colazione. La colazione ? molto buona e abbondante ma un po' monotona. Consiglio di dare pi? scelta soprattutto a chi si ferma da voi per pi? giorni, come abbiamo fatto noi. great stay, good location with great staff and great breakfast. This is a lovely hotel ran by a lovely family. 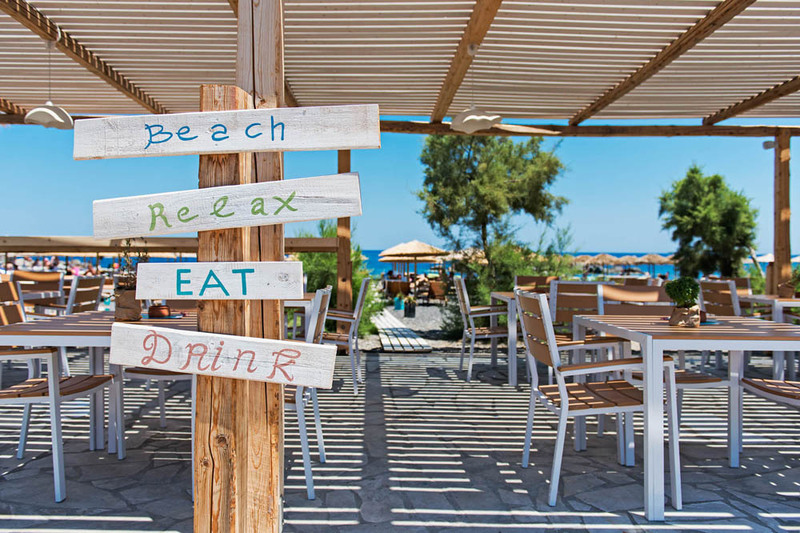 It's right on Kamari Beach. The staff are excellent. They accept dogs which was very important for us as our dog is our child. We will be back. This hotel is great. The location is perfect. The owners are incredibly helpful. They made dinner and motorcycle reservations for us. The property is clean, bright and beautiful. The cleaning staff is lovely and very nice. The included breakfast is much better than typical ones. The shower amenities are wonderful. Great products. The beach access is awesome and the lounge chairs are great. 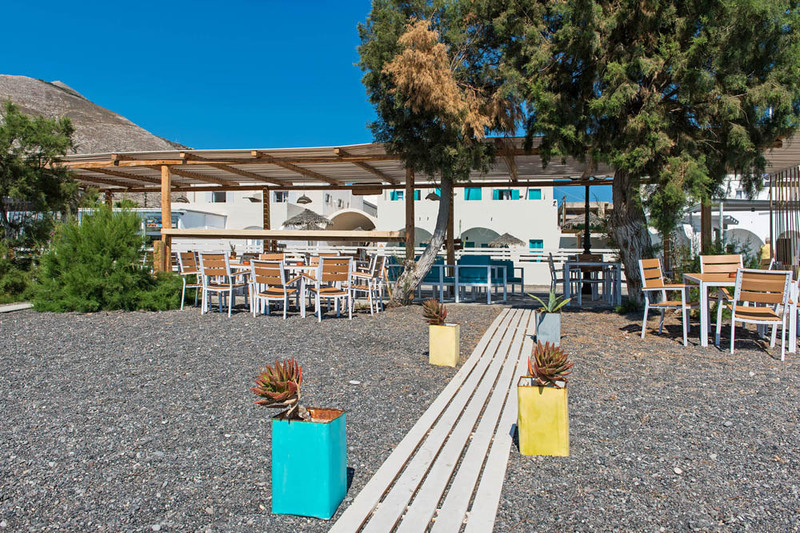 The entire staff is helpful and kind and they all speak English very well. Would recommend it over and over.